Do you want to turn things around to increase your profits? Do you feel overlooked or even invisible in your job & Career? Your mission should you choose to accept it is to create a 90 day bullet proof plan to become an invaluable asset get the promotion you deserve, whereby helping your Organisation become best in the world. "Your mission should you choose to accept it, is to spend this month in a deep dive into the Three Principles, coming out on the other side "unstuck" and free, passionate and purposeful in your life" Usually $22789 value, this special offer at this price of all inclusive ends soon please contact us for free consultation now by contacting info@veritastech.org . Veritastech for Yellow Belt, Green Belt and Black Belt Training Programs This course curriculum is designed by Veritastech BoK of ASQ, IASSC and CSSC. All that a Green & Black belt needs to know will be comprehensively covered in the training The Green & Black Belt training will help you to understand how a problem is solved and Six Sigma project is executed step-by-step You will have access to Veritastech Master Black Belt for guidance and clarification. In this self paced video training you will learn: The Different sectors like Healthcare, Banking, Manufacturing, construction, IT, Service Industries and many other industries that benefit from Lean Six Sigma And much, much more. So if you want to know everything about Lean Six Sigma and how it can change your life, then look no further! Get your Lean Six Sigma certification today! Information is invaluable – but it’s also overwhelming. MindManager simplifies the way you process and manage information, by turning scattered ideas and data into clear visual maps, diagrams, charts, matrices and more that are easy to build, organize, evolve and share. With MindManager, you can quickly create beautiful maps, diagrams, charts and other visualizations that bring structure and clarity to concepts, strategies, plans and projects – engaging and exciting everone you share them with. Every day, millions of people across thousands of global organizations use MindManager to more effectively think, plan, communicate, collaborate and get things done across their most business-critical tasks. 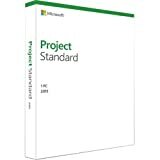 ProjectLibre is the open source replacement of Microsoft Project. It has been downloaded over 1,000,000 times in over 210 countries. ProjectLibre was awarded ComputerWorld's "Best of Open Source" software. Software is prefilled with 13,884 Cost construction items, 2,485 Cost Data Categories and 66 Units of measures. Scheduling and calendaring features included: Schedule client work to exact days, color code by day and hour. Get organized and avoid schedule conflicts. Easily work with others and design beautiful presentations. Presenting tools help you deliver your ideas and impress your audience.